Acceptance, extension, and applications of the CVD risk factor paradigm characterized the Modern Era. 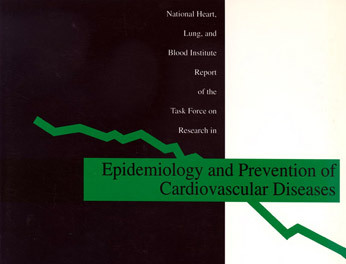 The risk factor concept, formulated from solid epidemiological work of the Early Era, stimulated much academic and professional activity in CVD prevention. Researchers sought new CVD risk factors and elaborated on the traditional ones by ethnicity, age, and gender. Policymakers developed national and international policy to support prevention research and training. This resulted in medical and public health programs to reduce CVD risk. First, however, the clinical medical establishment required experimental “proof” by explanatory preventive trials prior to its endosement of epidemiologists’ recommendations for preventive action. Major new prevention trials of single and multiple risk factors got underway. 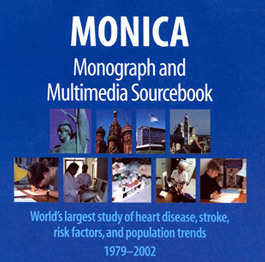 Simultaneously, CVD mortality rates fell dramatically and steadily across much of industrial society, documented by the WHO MONICA project. Thus, a more efficient approach to universal CVD prevention was suggested: a relatively small shift in the entire population distribution of risk factors downward by public health promotion. The modern era of CVD epidemiology is also marked by increasing interest in the genetic underpinnings of CVD, in part motivated by rapid technological advances in molecular biology and large investments in efforts such as the Human Genome Project. Several genes (variants) have been found for rare inherited conditions such as familial hypercholesterolemia that causes early and severe CVD. Progress is limited, however, in identifying genes and gene-environment interactions that have important effects on overall CVD risk in the population. The broad public health orientation of the original USPHS designers of the Framingham Study led to their inclusion of women in the Framingham cohort. Women were not studied in a number of the new epidemiological undertakings, including the Seven Countries Study among cohorts of rural men. 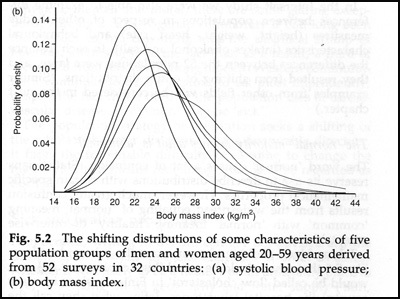 In 1950, CVD events were 4 to 5 times rarer in women at comparable ages, therefore much larger samples were required. Biases in some cultures about physical examinations, disrobing, exercising, and blood letting in women were strong and negative. 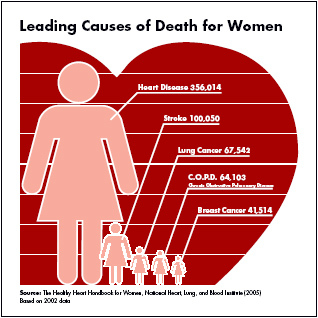 In the modern era, studies revealed that women are different: different in risk, manifestations, diagnosis, treatment, and survival of vascular events. New generations of preventive trials in the Modern Era looked to “prove” experimentally that the risk factors were indeed “causal” or at least in the chain of causation. Researchers measured the effect of reducing particular risk factors on the rates of disease. Cholesterol lowering by drugs, particularly the Lipid Research Centers Primary Prevention Trial of the 1980s and later Statin trials, finally and sufficiently “proved” the causal role in atherosclerosis of certain blood lipoproteins and brought wide acceptance of lipid modification as a medical and public health prevention strategy. Similarly, the reduction in heart attack and stroke rates in trials of anti-hypertensive drugs adequately “proved” the causal role of blood pressure and confirmed the combined medical-population strategy of hypertension control. Paradoxically, vigorous public health measures against cigarette smoking were advanced by the medical and the public health community without requiring experimental “proof” from controlled trials.